My Sister's Getting a College Freshman Gift Basket With a MascotWear Loofah! I can't believe it...My sister is a college freshman!! Wow...how time flies! It seems like yesterday, she was born, giving me beautiful smiles, going to kindergarten, and winning everyone over with her vibrant personality and fun humor! She is now doing that all on her own as she studies to become a teacher! We wanted to let her know we were thinking of her so we decided to go out shopping and get her some fun gifts for a College Freshman Gift Basket that will remind her of home, people that love her, and give her all of her favorite foods and a super cool Green Bay Packer #MascotWear Loofah for the NFL Season! 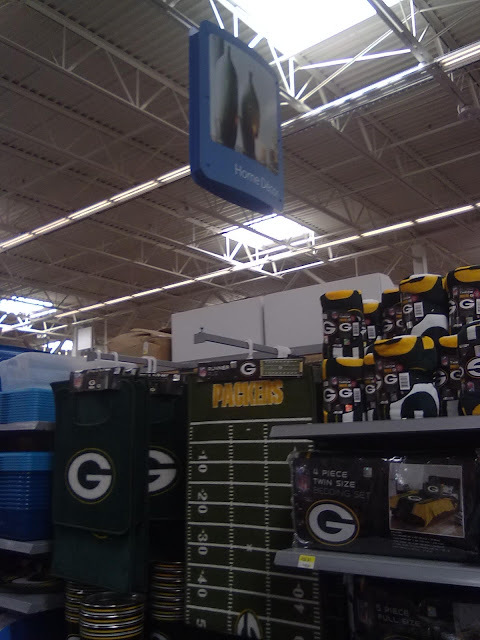 Our whole family is HUGE Packer fans so I know she will LOVE THIS! It was a little difficult to find at our local Walmarts, but in the end we found it and it is definitely worth the search! 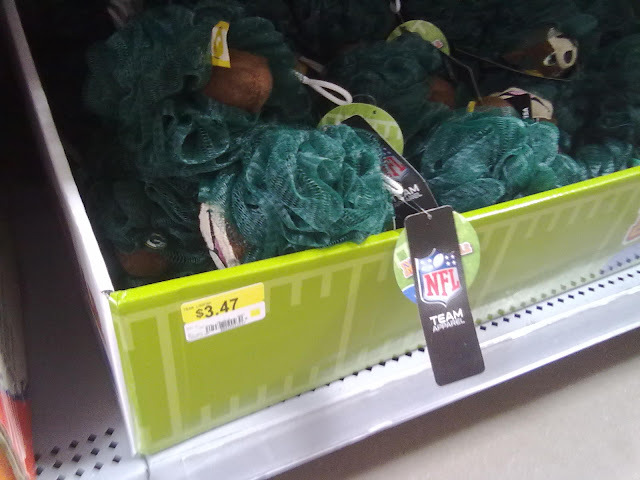 Ours was in the Home Decor section so it wasn't where you would normally guess a Loofah or NFL item might be! Make sure to check out my entire Google+ shopping story at Walmart. 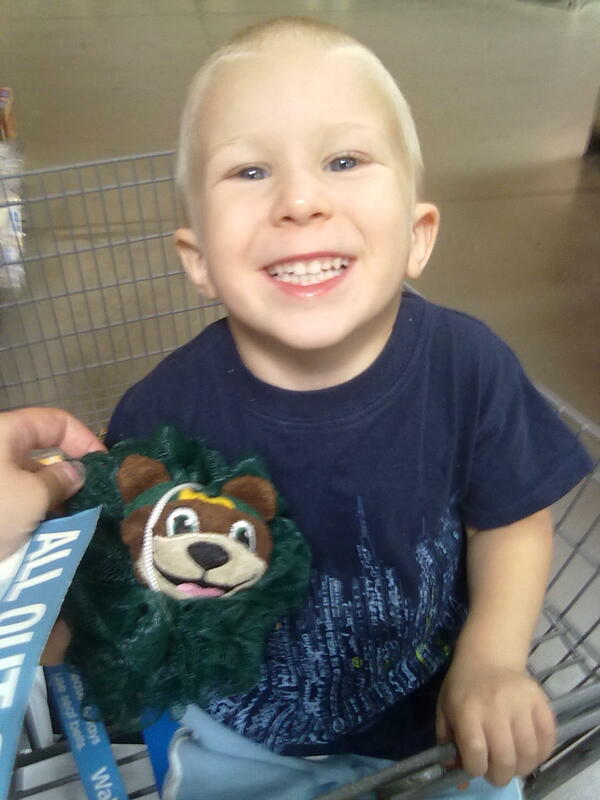 Make sure if you are looking for this awesome MascotWear loofah, you ask an associate so you don't waste time looking for something that either isn't out of the stock room (our first visit to Walmart) or isn't where you think it would be! Once we got this MascotWear loofah and a couple of other of my sister's favorite snacks and goodies, we headed home to put together a College Freshman Gift Basket so she would know we were thinking of her! We then added in some sweeter treats: her favorite Sour Patch Kids and Licorice! We then topped it off with the best items of the basket: the Green Bay Packers MascotWear Loofah and pictures of my daughter because my sister is the godparent! I topped it off with some tissue paper so she has to "unwrap" it to see what's inside! I just know she will absolute LOVE this Freshman "Thinking of You" gift basket because she is adjusting to college life, the extra stress and being away from family! I remember how hard it was that first year, especially the first semester and I know how much I wondered if anyone cared now that I was gone from home! And I can guarantee EVERY college student that lives in the dorms LOVES getting gifts in the mail! My sister will have to wonder no longer because this box will put a HUGE smile on her face, give her that extra boost to stay focused on school and stay positive, and she will have all her favorite snacks, treats, a cool Packer loofah, and pics of her super cute goddaughter to keep her company! If your child, sibling, or friend is a new college freshman this year, don't forget to make them feel special and loved by sending them a thoughtful gift basket! They will appreciate it more than you think! That was nice of you to send a package to your sister. That loofah is pretty neat. 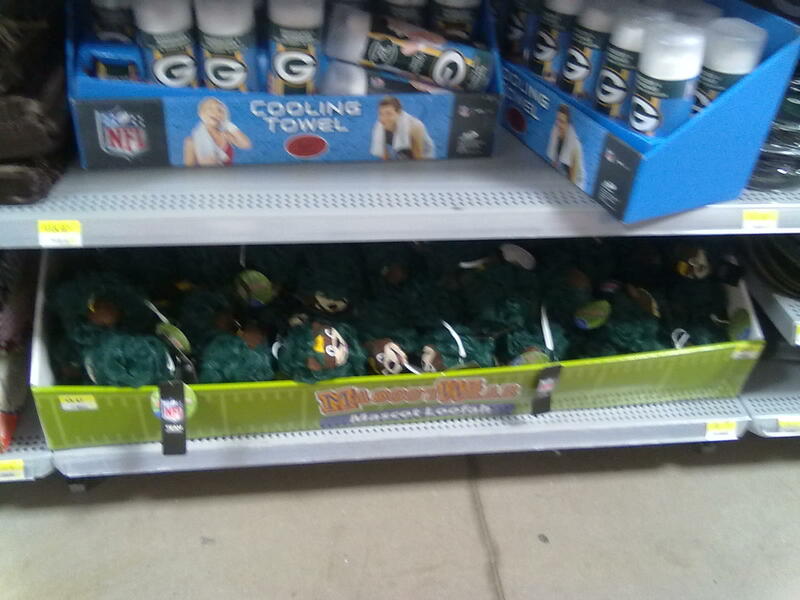 I saw Illini ones at our Wal-Mart.